Enjoy in our slide show on the top some nice photos with buildings of Medical University of Vienna (MUW, ECRIN partner), Karolinska Institutet (KI, EATRIS partner), University of Manchester (UoM, BBMRI partner), European Molecular Biology Laboratory's European Bioinformatics Institute (EMBL-EBI, ELIXIR partner), Helmholtz Zentrum f. Infektionsforschung (HZI, EATRIS partner), Institut Clinique de la Souris (GIE-CERBM, Infrafrontier partner), and University of Oxford (UOX, Instruct partner). Find and get to know all our project partners here: emtrain.eu » partners. This edition's cover image has been taken from the on-course® Style Guide. This is to underline the upcoming on-course® changes. As it was well observed by Lewis Carroll in 'Alice in Wonderland' , "..here we must run as fast as we can, just to stay in place. And if you wish to go anywhere you must run twice as fast as that." In Question and Answers section we discuss the applicability of EDAM topic ontology from the bioportal.bioontology.org  for the on-course® catalogue. In our service section you will find the short courses (CPD) calendar for Summer 2014 as well as the newest courses recently entered into the on-course® catalogue. Finally, in the share section you'll find a collection of education & job articles with the links for further reading. Among others, we found out that some UK universities have been advertising their master programmes as jobs by using job portals. Is it legitimate ? Q1. What are the main scientific areas or topics of on-course® master programmes? Q2. If on-course® had a basic and an advanced keyword search options, what would be the main on-course® database field for the basic keyword search for master programmes by scientific topic? A2. It would be definitely the field, which contains the master programmes' titles. Find underneath our overview table containing the keywords with the number of hits in the titles of the on-course® master programmes. As dataset we used the official on-course® download as of March 2014 containing 2830 entered master programmes. Master programmes in Biology » number of courses by sub-topic. In order to check out applicability of the EDAM topic ontology for searching on-course® master programmes we carried out the basic keyword search within course titles. Find here the bar chart with the search results. Master programmes in Biomedical science (Biology) » number of courses by sub-topic. In this edition's web analytics we are highlighting the days of peak activity in the period from 1st January to 15th April. Our readers can compare these days with their own diaries to find out any correlations with their own on-course® and EMTRAIN events and activities. The European Parliament voted in favour of the second Innovative Medicines Initiative (IMI2) on Tuesday (15 April), a multi-billion Euro research programme run jointly by the European Commission and the pharmaceutical industry. The move has been welcomed by the European Federation of Pharmaceutical Industries and Associations (EFPIA) as another step towards the launch of the initiative which will continue the success of the first IMI, a public-private partnership between the European Union (EU) and EFPIA that aims to advance research and development, particularly in areas of unmet medical need. IMI 2 will build on the successes and lessons learnt under IMI. Like IMI, it will bring together companies, universities, public laboratories, innovative small and medium-sized enterprises (SMEs), patient groups and regulators in collaborative projects that will pave the way for breakthrough vaccines, medicines and treatments to tackle Europe's growing health challenges, and secure the future international competitiveness of Europe's pharmaceutical industry. Overview with the current on-course® corporate colours. Each individual web portal uses a set of corporate colours. They make the portal as well as some elements of it prompt recognizable. We've summarized here the on-course® web colours in use, together with their hexadecimal and RGB values. Some nice photos of the buildings. 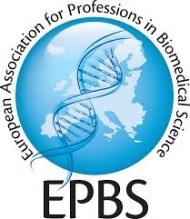 European Molecular Biology Laboratory's European Bioinformatics Institute (EMBL-EBI, ELIXIR partner), Helmholtz Zentrum f. Infektionsforschung (HZI, EATRIS partner), Institut Clinique de la Souris (GIE-CERBM, Infrafrontier partner), Karolinska Institutet (KI, EATRIS partner), University of Manchester (UoM, BBMRI partner), University of Oxford (UOX, Instruct partner), and Medical University of Vienna (MUW, ECRIN partner). See the full list of Partners here.